Holy fez-wearing monkeys, Batman! The Archie McPhee store blog has officially relocated to Tumblr! 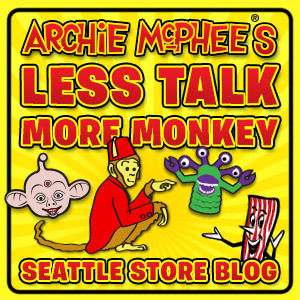 Please change your bookmarks, RSS readers, and mental notes to point to http://lesstalkmoremonkey.com/ in order to keep up with all the news, fun, and fun news happening here at Archie McPhee.